Specifically, Bercow notes - citing a rule from 1604! - that the government can't ask lawmakers to vote again on May's already-rejected Brexit deal unless it is altered. 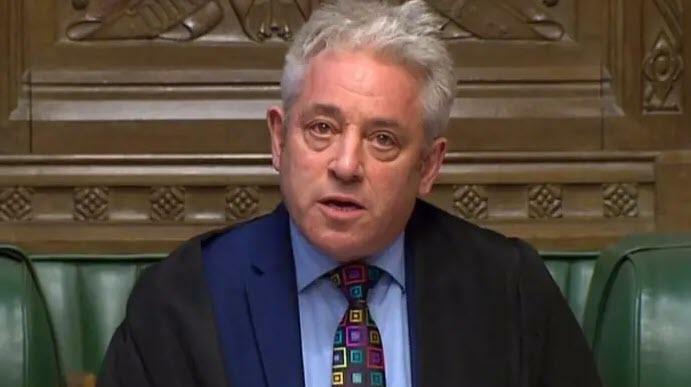 “What the government cannot do is to resubmit to the House the same proposition or substantially the same proposition as that of last week which was rejected by 149 votes,” Bercow said. If the government wishes to bring forward “a new proposition” for members of Parliament to vote on that would be allowed, he said. Presumably, this means May will have to alter her Meaningful Vote - in a way that satisfies Bercow's discretion - which means, however, that any changes will have to be run by her EU counterparts (or overlords)... and will inevitably delay this portion of the process. As The FT reports, Mr Bercow said that the second so-called meaningful vote had cleared this hurdle because of additional legal reassurances published by the EU and the UK. 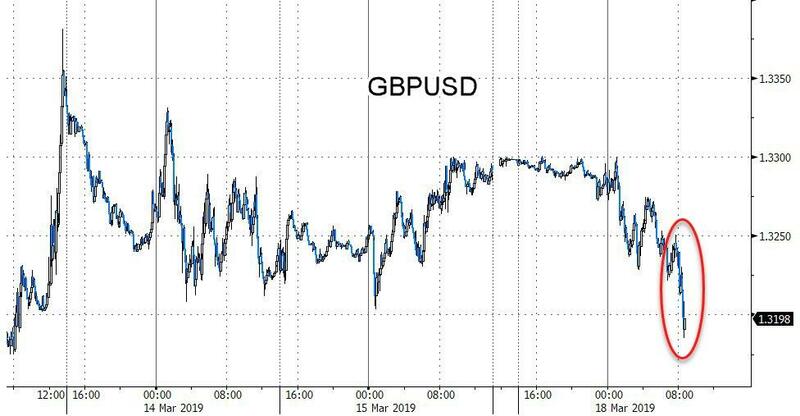 However, Downing Street now says that no further negotiations are expected imminently, making it hard to clear before the third meaningful vote.